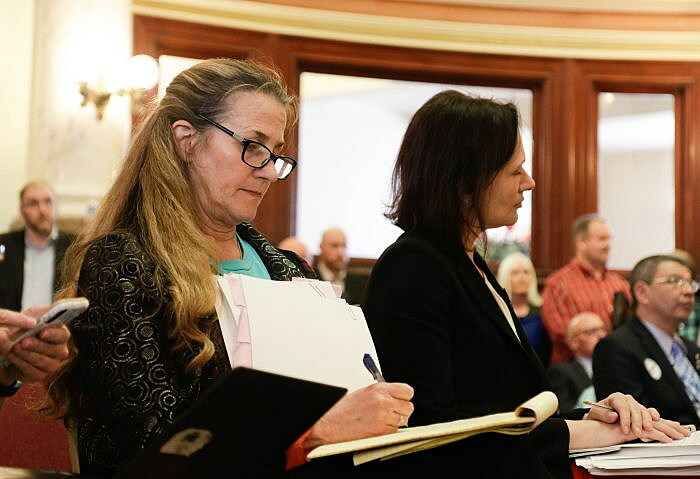 (UM Legislative News Service) Montanans filled the state Capitol Saturday to testify during an all-day hearing on two competing bills that would extend Medicaid expansion, some of them arguing to keep the program as is, some arguing for more requirements for enrollees and others arguing against the program completely. People wanting to testify filled the Capitol’s old Supreme Court chambers and waited to say their piece. Another argument from opponents of Buttrey’s bill addresses its non-severability clause, meaning if one section of the bill is found to be unconstitutional, the entire bill is void. 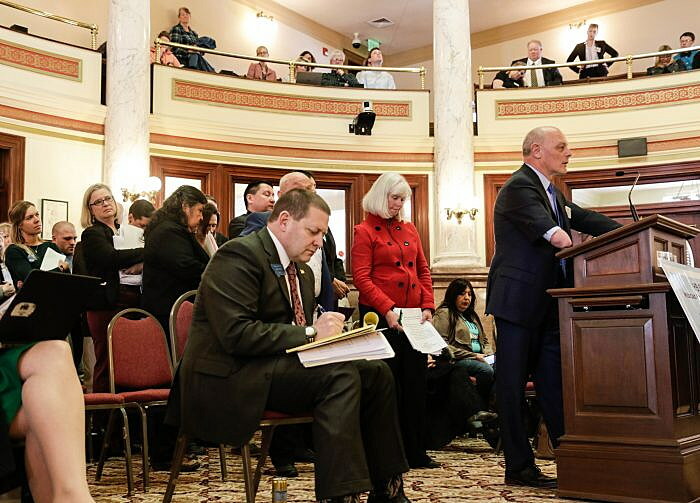 Al Smith, a representative of the Montana Trial Lawyers Association, said there a number of sections in HB 658 that would likely be challenged if it’s passed into law, making it a risky piece of legislation. “This is just a bad policy piece to have in there,” Smith said. “I would think carefully about trying to override the will of the voters,” the CEO of the Montana Policy Institute, Brent Mead, said. Shaylee Ragar and Tim Pierce are reporters with the UM Legislative News Service, a partnership of the University of Montana School of Journalism, the Montana Newspaper Association, the Montana Broadcasters Association and the Greater Montana Foundation. Shaylee can be reached at shaylee.ragar@umontana.edu.